Oh does the intrigue ever end? Does it get to you just how we’re being herded like cattle into a human apocalypse? MARANATHA! Yeshua come quickly! Communism isn’t the ideology that will kill you, nor is fascism – they are both simply extremes which effectively ‘meet round the back’. 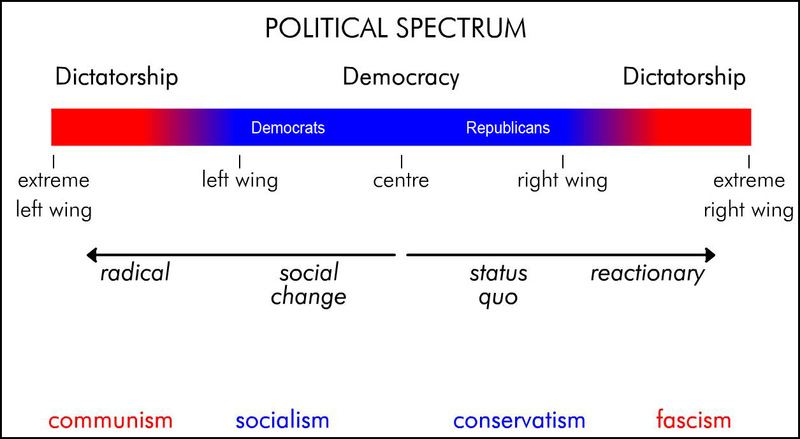 If freedom, self-government and self-determination are right in the middle of the spectrum, in both cases fascism and communism are opposites of this – they are the antithesis of freedom. It doesn’t matter which you get, nor what you call it, it is a moral failure because it demeans man to the status of slave, allows psychopaths to reign over the innocent and take not only what they produce but their properties and also their very lives. We are moving towards a world dictatorship very fast, urged ever onward by liars in top positions. Never in history have we seen such a level of ‘iniquity in high places.’ Fascists and communists both want to restrict your freedom, take your stuff, tell you what to do and reduce you to vacuuous ignorance about what is really going on. 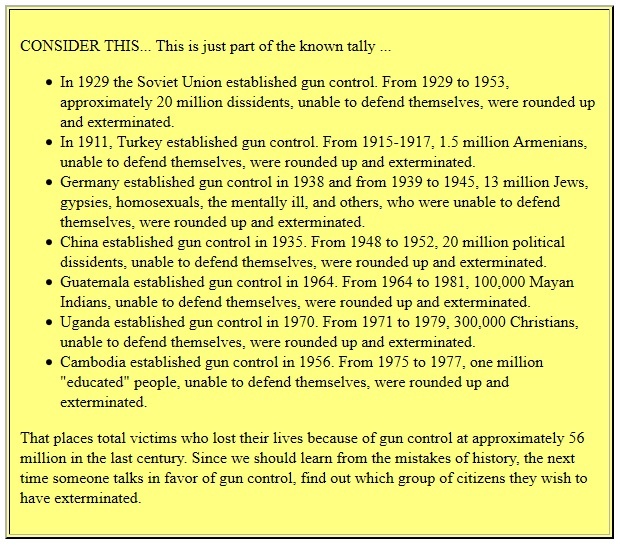 When we look at gun-control, for instance, does it shock you to see just how blatantly this has, throughout history, preceeded the murders of millions of defenceless citizens? Does that shock you? Have you decided to get a gun yet? Well do it while you can – it’s too late for many citizens in countries already fully disarmed. Now for the distasteful conclusion. Whilst communism is desirable to the freemasons and talmudic judaism, and fascism is desirable to the catholic church mankind is not safe. All these groups work without public scrutiny and above the law (when possible). They are using vehicles like ‘climate change’ to strong arm us into giving up our ideas of self-determination, freedom of thought and choice. Next Next post: Re-stocking the farm – the reason behind the migrant crisis?